Track your results in real time with your personal marketing dashboard. Big Buzz provides expert marketing solutions backed by real research, and we evolve those solutions by accurately tracking results. Dashboards are custom-made for each client, allowing all parties to see exactly how their marketing tactics are performing and where we are in terms of meeting the goal. This allows both our team and yours to use actual data to make sound decisions about how to refine marketing programs as they evolve, where to invest marketing dollars and how to get the very best results. Plus, your personal marketing dashboard updates in real time, meaning you can check the status of your marketing success 24/7, 365. 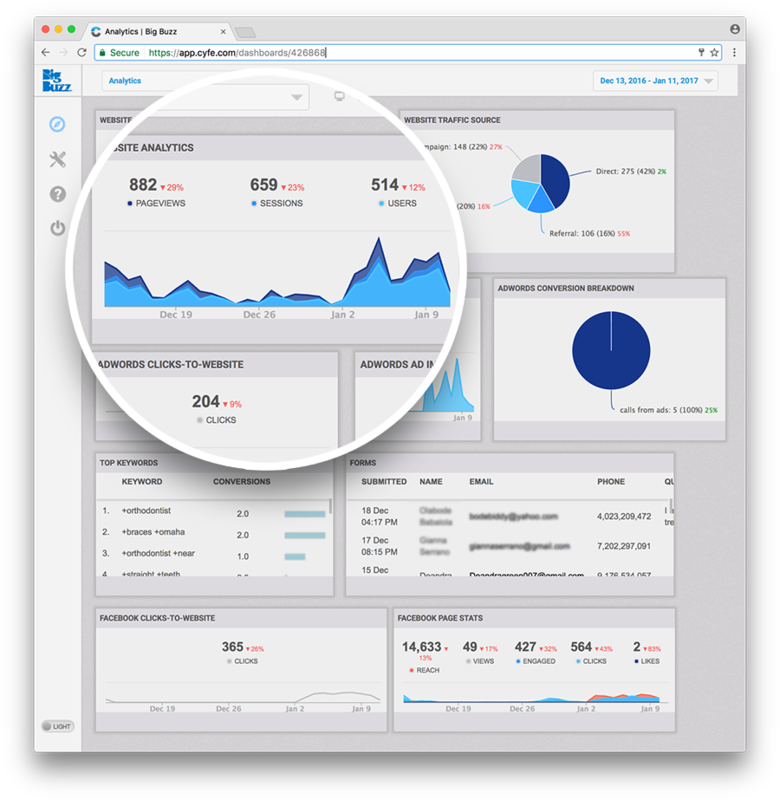 Your personal marketing dashboard will be the only results tracker you will ever need. 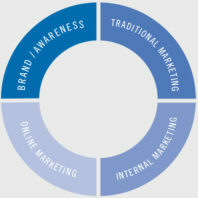 Once the foundation of the Marketing Platform is in place, Big Buzz is uniquely positioned to deliver any and all marketing tactics needed to take your practice to the next level. This is Big Buzz’s Total Marketing service. View Our Success Stories. Click the icons below to learn more. Attract and keep your ideal patients.